Christmas is the most glittery and magical time of the year and there is nothing we love more than adorning our homes in one-of-a-kind tree decorations, baubles, fairly lights and quirky decorative accessories that make us smile! This year we have a selection of witty, rock ‘n’ roll and utterly unique Christmas gifts, gift boxes and wrapping accessories that will help you to amaze and delight your friends, families and loved ones. 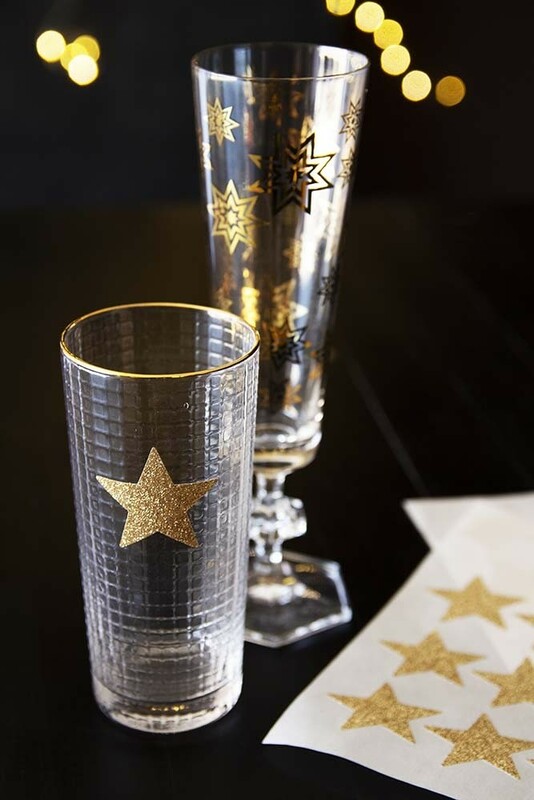 A lovely pack of Sparkling Glitter Star Stickers available in either gold or silver – wrap in Style! Use the star stickers instead of messy looking tape to create really beautiful wrapped gifts or stick them all over your presents to create beautiful star constellation effects! Not just for Christmas you can use these beautiful star stickers to decorate craft books, diaries, noticeboards or anything that needs a sparkly uplift!